BriskHeat manufactures flexible surface heating elements and controls/accessories for unlimited applications. Petrochemical, semiconductor, food processing, biotech, aviation, steel, laboratory, power generation and many other industries have found their solution with our heating products. 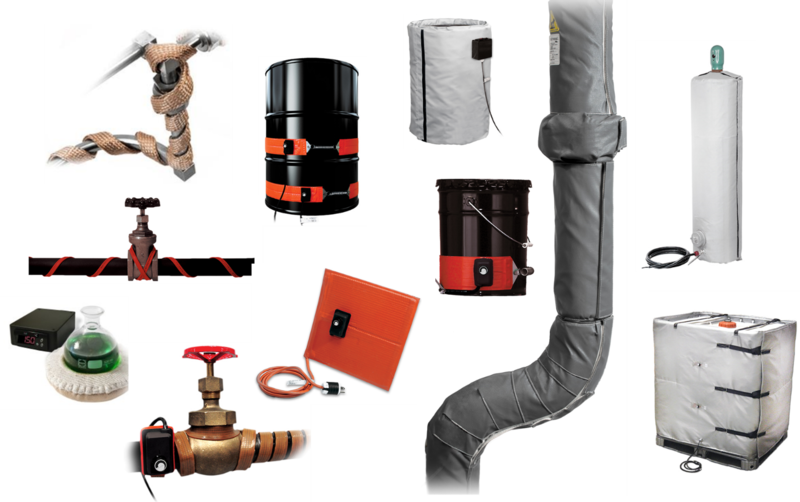 A broad range of experience in solving your applications for viscosity control, condensation prevention, process heat, and freeze protection has allowed BriskHeat to become the world-wide leader in flexible surface heat and heat trace applications for piping, vessels, pumps, valves, and other objects. Large projects or small, high volume or low, BriskHeat stands by to help you work through any surface or object heating issues you might encounter. For more information, visit the BriskHeat website. To purchase BriskHeat products directly, please fill out the contact form below.